Matthew Moodley has been appointed as chairperson of NV Holdings, the parent company of international content creation house NV Studios. Moodley co-foundered Mvest Group, a private equity firm with investments in pharmaceuticals, mining, media and IT. He spent 13 years as the executive director for Pfizer in the EMEA region, based in Johannesburg, and was accountable for setting governance principles, strategic decision making, employee well-being and stakeholder management and communications. He was also the executive director and board member for group companies in South Africa, Zimbabwe, Namibia, Botswana, Kenya, Mozambique, Mauritius, Seychelles, Madagascar, Nigeria, Morocco, Dubai and the United Arab Emirates. Moodley has also served in executive roles for Africa’s telecommunications and media companies, including mobile network MTN (as head of commercial legal services) and Multichoice (as general manager of legal and business development). He has a law degree from the University of Durban, Westville as well as a masters in Finance. "I’m delighted to join the NV Holdings family as chair at such an exciting time for the business," says Moodley. "NV Studios is expanding to the United States with an office in Los Angeles under our CEO Damien Brown. The company is flying in South Africa, and we’re moving into producing more scripted content on top of our powerful non-scripted slate, telling important stories in innovative ways. We’re well-placed to establish the company as a global powerhouse in the content creation space, and I can’t wait to help drive the company forward." 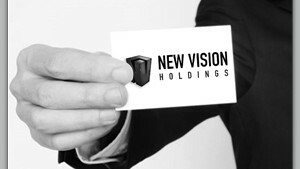 For more information, visit www.nvholdings.co.za.